Euro-styled padholder with snap closure, made in Italy. 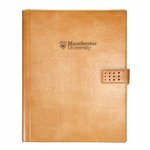 Fits standard 8 1/2" by 11" notebook. 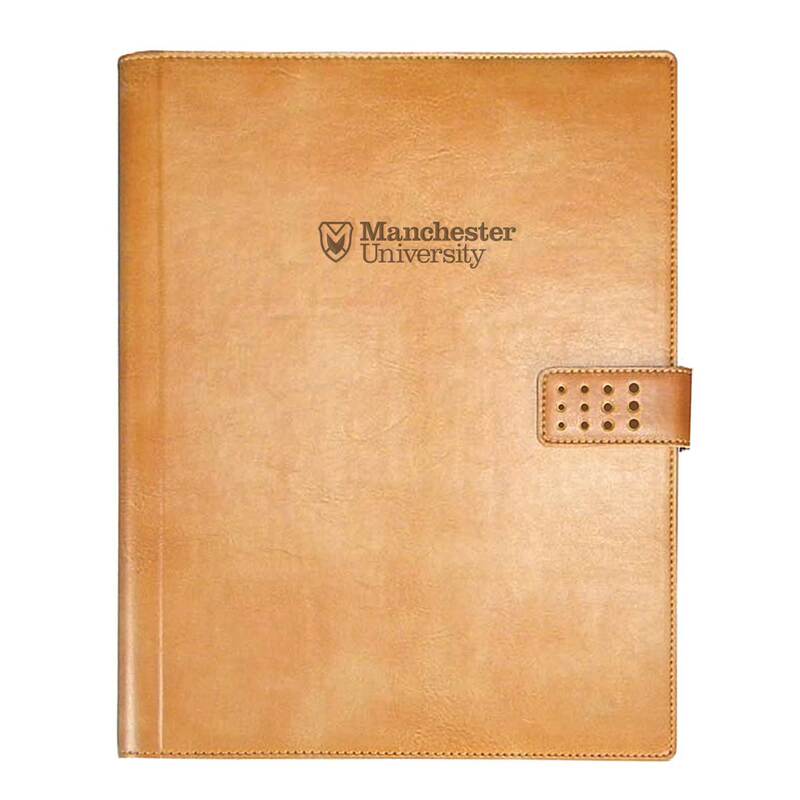 Also has the Manchester University logo embossed on it.